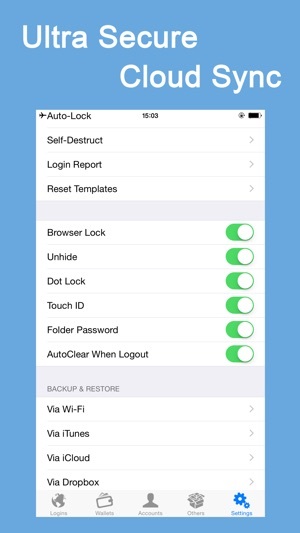 • iPassword can securely store your important information and can automatically log you into websites with a single tap. There's no need to remember the usernames, passwords, or even the website addresses. Join to iPassword today. Your digital life will be in comfort and safe with it. I’ve had your app for years! I recently purchased an iPhone X, and before doing so, I backed up my info from my iPhone 7 to my iCloud so everything will transfer to my new iPhone X. And it did. BUT, I decided to take the iPhone X back to preorder the newer iPhone tomorrow. So I backed up everything on my iCloud with the new iPhone, so when I’d attempt to retrieve my passwords again but this time back on my old iPhone, they would be there. However, to my dismay, they’re not showing up. I don’t know what’s happened. I backed everything up on my iCloud, placed my files in my Dropbox app, but nothing’s worked. I figured everything would sync back on my old phone like it synced when I switched to the new iPhone I just purchased but it didn’t. I then thought I could just go back in iTunes, find you all’s app & retrieve it from iTunes but that wasn’t the case. The only option available was getting the app all over again brand new or purchasing the Pro for 4.99. I went ahead & got both, but I still could not restore any of my prior passwords through either app I just downloaded. This is an app that you just have to play around with to figure out. I read the reviews to understand what it was capable of doing. Not only can you save all your personal information, you can save your logins and websites so you don't even have to type them in or go to bookmarks. Yes, the directions are non-existent but the pro version is only $5. The competition is charging $14-$70 per year of use and if you think this one is bad just try those. Once you take the time with a little trial and error, you will love it! I have my passport id in there, my daughters ss#, all these important things that I never would have thought about putting on my phone before this app. Works with fingerprint on iPhone 7+. I will be using at least a dozen times per day just for the ease of my most used websites and the logins for my business. Only syncs to iCloud over wifi or hard cable with iTunes. So you can guess that all these bad reviews are because it is a learning experience to figure it all out. I hope this helps you! iPassword is a scam app. Developer does not support app. This developer is running a scam. 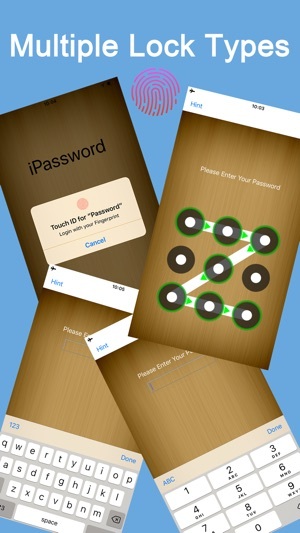 They have several builds and copies of this iPassword app that they don’t properly maintain which they also charge $ for. Look at my review and don’t let what happened to me also happen to you. Apple should remove this developer from the App Store. I relied on them and they have failed me. Most of the reviews are inflated copies from a much smaller user base than the quantity of ratings lead you to believe. 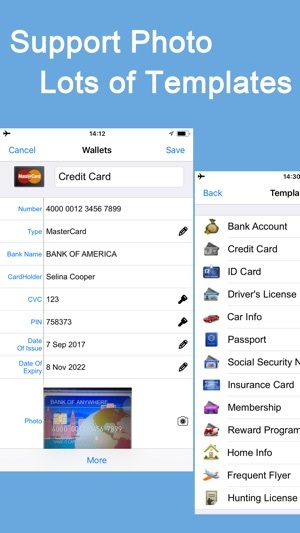 Imagine saving ALL of your passwords in this app and then it’s all gone with no support from Apple or the developer they allowed to sell this app on its App Store.